Great excitement, the Kerry Public Participation Network are delighted to be again supporting Street Feast 2019. ……And we’re off! Registrations are now OPEN for Street Feast 2019. It’s our 10th birthday and we’d be thrilled if you joined the party by hosting a feast on Sunday 5th May! 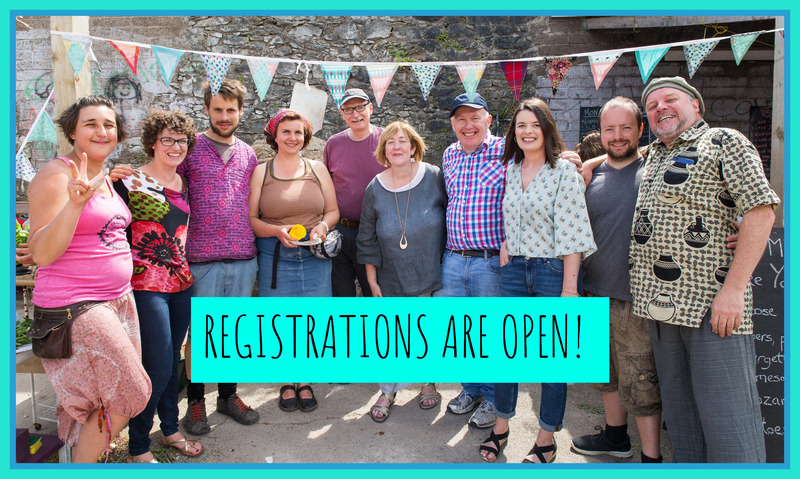 Register your feast online and claim your free party pack which includes all the party essentials- bunting, invitations, posters & more..
Street Feast is an excuse to turn off the telly, get outside and meet the neighbours over delicious food & good conversation. We spend so much time in our neighbourhoods & around out neighbours yet rarely do we get a chance to celebrate those streets or the people who make up our communities. Keep it simple. Our ethos remains the same- building community using simple measures- food & conversation. A Street Feast can be ANYWHERE- in the middle of the pavement, on the green, down the pier.. Invite the neighbours, grab a table and a few chairs, light up the BBQ and voila- you have yourself a Street Feast! We’ll be in touch soon with more news & excitement. P.S Don’t be a stranger- give us a follow on Facebook, Instagram & Twitter. Tag us in your posts (@streetfeast)- We’d love to hear from ya.